High volumes: Polypropylene (PP), Polystyrene (PS) and Polyethylene (PE). These can be waste from manufacturing/industrial processes or consumer waste. Large or smaller volumes: Manufacturing grade Polycarbonate (PC), Nylon and ABS. If you have plastic you would like to sell contact us. For any new enquiry we will need a sample and a brief description of the plastics you wish to recycle. If you have unusual waste material we will always try to recycle it for you. APR are here to help, if we are unable to recycle your plastics we generally know someone who can. Ideally the plastic waste should be packaged on pallets or bales, we will also consider unpackaged materials. 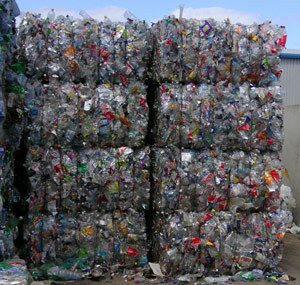 Prices paid depend upon the grade and type of plastics to be recycled. If you are unsure then we will analyse samples for you. In terms of batch consistency, the plastic waste should all be of the same type and also from the same source. Please let us know if there are changes from batch to batch. We can also separate plastics if needed. You can also buy waste plastic from APR. If you have plastic to dispose of, please contact us.